Australian marketers are focused on better understanding their audience and are willing to try different content marketing tactics to engage with them. 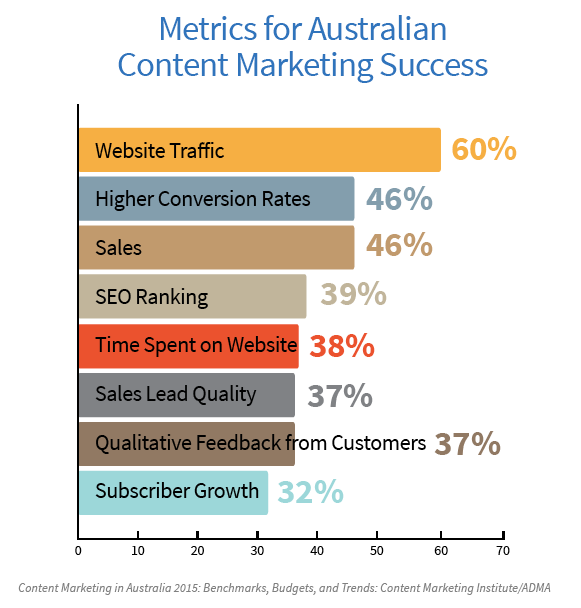 That is just one of the many insights from research report Content Marketing in Australia 2015: Benchmarks, Budgets, and Trends, produced by Content Marketing Institute and the Association for Data-driven Marketing and Advertising (ADMA) and sponsored by Brightcove. 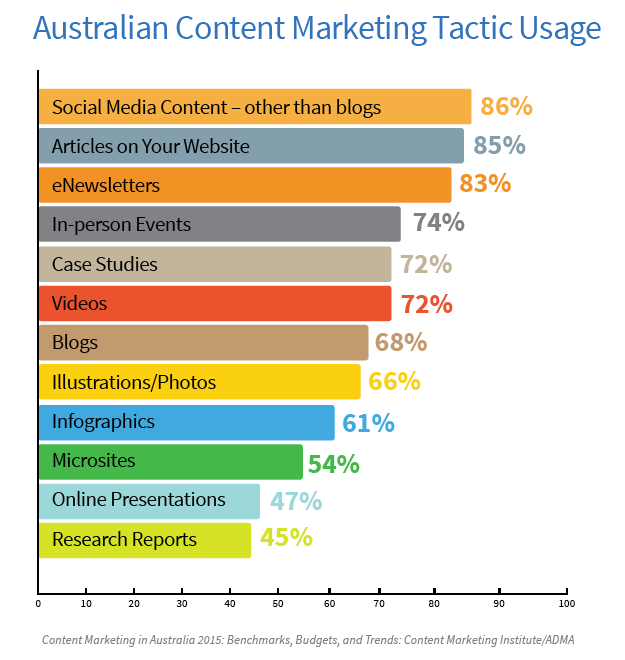 This is the third year for the survey studying content marketing in Australia. It is based on responses from 251 for-profit marketers from both business-to-business (B2B) and business-to-consumer (B2C) organisations. This year, the research shows that a high percentage are focused on audience-centered initiatives, such as developing a better understanding of what content is effective, creating more engaging content, and gaining a better understanding of their audience. There are more interesting findings in the full report.